In July Peggy and I traveled to Budapest, Vienna and Prague. Along the way we met a man named Victor. He was a loving, patient and kind man. At the end of our journey, during the final good-byes, I told him, “Vic, you are one of the kindest and most loving men I have met on my travels.” And without hesitation he said, “I see something loving and valuable in every human being.” He celebrates life, knows that it is a gift and responds with love. You will hear me say over and over again in the next three years, “You’re loved.” By doing so, we are reminded of the gift that we are alive and for me, it is a gift to be your pastor at this time. 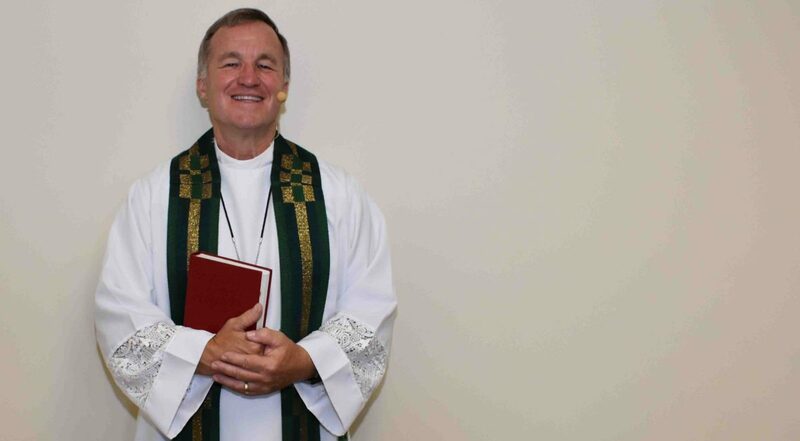 In an email, someone wrote, “Thank you Pastor Mark for being our renewal pastor for the next three years.” And my response was “It is an honor and privilege to be on this journey with you!” Thank you, people of Faith, for the warm and gracious hospitality expressed at a fish fry, worship and fellowship in August. We felt welcomed! This is going to be an exciting adventure listening and growing with you. My task is to be a midwife assisting you to give birth to new visions while nurturing leadership for the future. Read more from about the life of Faith in the September newsletter, check out previous newsletters, or view our calendars to learn more about Faith.